Allo-allo wszelkiej maści, czyli wyznawcy oficjalnych przeciw-słowiańskich teorii (nie tylko językowych), a w szczególności zwolennicy tzw. od-irańskich zapożyczeń językowych, rzekomo odnajdywanych przez nich w j. słowiańskim, (choć nie tylko oni), powinni raczej mieć się coraz bardziej na baczności,..
Zwróciliście uwagę, jak tacy oficjalni allo-allo językoznawcy i ich wyznawcy, podchodzą do wszelkich odkryć związanych z genetyką, zwłaszcza jeśli może mieć lub co najgorsze ma to związek ze Słowianami, Naszą Tradycją i Dziejami..? Proto-Kartvelian and Proto-Indo-European are supposed to have been in contact with each other. So considering that Late Neolithic/Early Bronze Age steppe people basically look like a mixture of present-day Kartvelians and EHG, then which part of this mixture did Indo-European come from? As PIE and proto-Uralic undoubtedly were in contact which each other as well that question doesn’t even need ancient DNA to be answered. Mind you, some linguists even entertain a theory of common origin: The Indo-Uralic languages. It seems a very deep connection, too deep for simple loan words, some say. But even if it is merely the case of loan words, both languages must have had intimate contact. I was thinking a bit on how to interpret the findings of the new Haber et al. preprint, and especially the idea that „29% of the Armenian ancestry may originate from an ancestral population best represented by Neolithic Europeans.” I looked at the globe13 proportions, and strangely enough, I had estimated that the three Armenian samples (Armenian_D, Armenians, and Armenians_15_Y) have 28-29% of the Mediterranean component that is modal in Sardinians. (…) Looking back at my inferences of Armenian ancestry, it seems (according to globe13) to come completely from West_Asian, Mediterranean, and Southwest_Asian. The Mediterranean component seems real enough as it seems to match Sardinians/early European farmers well. (…) Another curious finding is the lack of North_European in a latitudinal „column” of populations from the Yemen, through the Levant to the South Caucasus (Georgians and Armenians). It seems that North_European is the only one of the four major Caucasoid components that Armenians lack to any important degree. There is a rather abrupt change between the South Caucasus (~1%) and the North Caucasus (15-20%). It seems that the Greater Caucasus did act like a barrier to gene flow. The K=4 analysis of the same dataset that produced K=13 (globe13) also shows the same barrier: all three Armenian samples and Georgians have ~0% of „Amerindian” (which is surely correlated to „Ancient North Eurasian” ancestry and via it with North_European), but North Caucasians and Europeans have 4-10%. It’s clear that this influence did not cross the Greater Caucasus, as Armenians and Georgians lack it. How do populations like Iranians and Indians fit in the „North European” component ? Three isolated language families surived in the Caucusus, those mountains must be really good because in Europe many languages and cultures disapperead. Obviously something very relevant was going on in and around the Caucuses. What’s throwing me off, Dienekes, is that there are extremely high G2a concentrations on both sides of the divide — in Caucasians that have a high North_Euro component, and in those that lack it. How to explain this divide? It doesn’t match any other invasion pattern of killing the farmer men. Note that the peak distribution of YHG-Q peaks in the area of the core of the former Hittite homeland. Significantly, the frequency of YHG-Q falls off in the Caucasus itself, in the region of Georgia and Armenia. YHG-Q reappears along the eastern shore of the Black Sea farther to the north. So where did mainland Greeks get their ~25% North_European component from on your Globe13 then? Medieval Slavs? According to Patterson et al. 2012=’s admixture models, Neolithic farmers near completely replaced the indigenous Hunter-Gatherers in Southern Europe. Only ancient DNA from the far South of Europe and the Aegean can confirm this I suppose, but I would not expect to see much haplogroup R1 around the Aegean or North_ European autosomal components on your ADMIXTURE runs until Bronze age and mainstream Indo-European timescale. Certainly for Southern Europe, the Yamna/Kurgan model for PIE makes solid sense IMO. The Caucuses and Near East a whole different monster though. I would be very interested to see where the Yamna come up on your Globe13, probably lots of North_European and West_Asian. Wouldn’t the presence of YDNA Q in Anatolia appear to contradict this conclusion? Moreover, it is not clear if all of the YDNA Q in Anatolia is related to the Turkish invasion. For instance, Q1a2b2 (L938) is observed in Lithuania, Britain, and Portugal – not regions associated with Turks – as well as Anatolia. It appears in all likelihood that YDNA Q may have been associated with the Hittites as well as the original speakers of Anatolian languages. The discontinuous distribution of Q in the region along the Black Sea would in turn appear to support a Steppe origin for the speakers of Anatolian languages. It should be noted that YDNA Q1b has been detected in Native American populations in South America. However, the researchers who collected these samples choose to exclude them from their study, citing the presence of Jewish rubber tappers in the Amazon region and the association with SW Eurasian populations, even though it is widely accepted the that this particular YDNA type entered the region from Central Asia fairly recently (that is, around the time of the Bronze Age). Another curious finding is the lack of North_European in a latitudinal „column” of populations from the Yemen, through the Levant to the South Caucasus (Georgians and Armenians). Georgians don’t lack it, in Calculators such as Globe13 or v3 they have frequency from 3-12%. While no matter which calculator you use Armenians almost completely lack this component. sorry for the tripple post. The break up of the Mal’ta genome showed ~26% of Caucasus_Gedrosia component. That surely doesn’t mean Mal’ta was CG admixed but that Caucasus_Gedrosia received ANE admixture. How can North Caucasians with less „North European” have more ANE than North Europeans who have more of this „North European” component? Obviously Armenians and even more so Georgians have ANE admixture this is visible even from the Lazaridis and Reich papers. Reichs own statement: „Yamna was East European H&G + 50% Near Eastern farmers rich in ANE. The fact that the Armenians and other peoples of the Southern Caucus almost completely lack the Northern European component is very pertinent to the questions of the PIE homeland, and Ind-European migration to the Indian Subcontinent and Iran. The Northern European component is seen at low rates among various Indo-Iranian groups, but higher than the ~1% seen among armenians. If one assumes that the European component indicative of the Indo-European migrations, then the lack of it in the Southern Caucus region would seem to go against a migration from Anatolia or the Potic Step to India and Iran via the Caucus and the Middle East, but rather provide support for a northerly route for the Indo-Iranians around the Caspian consistent with BMAC. This may have some further effect on the Anatolia vs. Pontic Steppe homeland debate. However, I am somewhat confused by the fact that the Armenians – who are an Indo-European group which has remained close to the PIE homeland, and has seemed to have not mixed much with other groups – lacks the Northern European component almost completely. This may indicate that PIE people also lacked the component, and that the Northern European components among the Indo-Iranians, and central-asian mummies etc, come from some other earlier migration. This observation may also lend credence to the Anatolian hypothesis in which the Proto Indo-Europeans would be expected to have less of a Northern European component. Or, possibly, some subset of the PIEs went to the Pontic Steppe, became Northern Europeanized, and later migrated to Iran, India etc, while the Hittites, Armenians, etc were left behind and did not have the Northern component. Either way, thanks for this very thought provoking news. 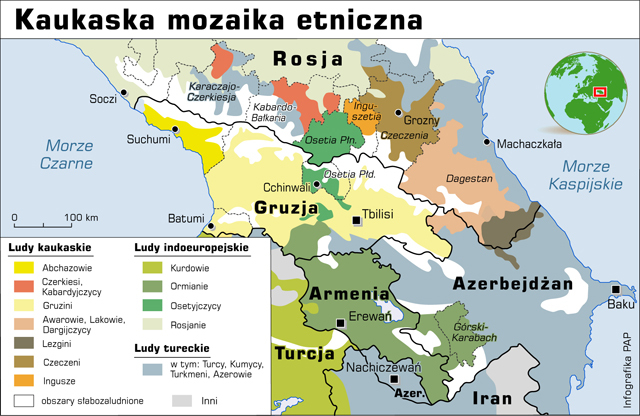 I agree with Dienekes that there is a discontinuity between the North and the South Caucasus. However, I disagree with him that ANE in Armenians is 0. According to Lazaridis’s, Table S14.15, the Abkkhasians have ANE of 18.6%. Georgians and Armenians can be expected to have the same. Regarding Native American-like components at K=4, the recent Haak ADMIXTURE figure may be good to study. (1) European hunter gatherers such as La Brana, Loschbour and HungaryGamba who have no ANE but only WHG all have some of the pink Native American component at K=4. (2) Armenians, Georgians and Abkhasians do not have this component. But based on Lazaridis, we can expect that they in fact do have ANE. Probably the Armenians are almost entirely descended from original Bronze Age Anatolian inhabitants with little admixture with the Hittite-related populations. Evidence from Scandinavia as well as the Hittite homeland in Anatolia suggests that different variants of YHG Q may in fact be a marker for the earliest Indo-Europeans. This is consistent with linguistic evidence which indicates that *PIE shows influences of Northeast Siberian – Native American languages, such as pronoun systems. There is a lot of data to support a model in which the precursor on Indo-European languages formed in the context of a sprachbund involving North American and Dene-Yeniseian languages. No i co Wy na to, hm..? This entry was posted in Dzieje, Genetyka, Językoznawstwo, Stara nauka, Tradycje i kultury, Tłumaczenia, Zakazana Wiedza, Ściemy na masę, Źródłosłów, Życzenia pobożne and tagged DNA, Genetyka, geny, germańskie językoznawstwo, Gruzini, haplogrupy, j. indo-uralskie, j. kartwelskie, j. przed-słowiański, j. ugro-fińskie, j. uralskie, językoznawstwo, kartvelian, Kaukaz, kultury archeologiczne, Kura-Araxes, Maikop, Maykop, Ormianie, Osetyńcy, Proto-Indo-European, Proto-Kartvelian, PS, Stara Nauka, Słowianie, tzw. PIE, tzw. zapożyczenia od-irańskie, Yamnaya by SKRiBHa. Bookmark the permalink. No i jak tam z tą „scytyjskością” tych Osetyńców..? Ktos umie odnaleźć jakiś genetyczny ślad tych Osetyńców, rzekomych Scytów, Sarmatów, Alanów itd, w puli genów odnajdywanych (dawniej i dziś) na terenie Polski itp? Poddajecie mecz walkowerem? Na jakie upatrzone z góry pozycje wycofujecie się? Za Odrą islam i nie macie gdzie uciekać! Skrybo, więc co z tego wynika (z tych badań powyższych)? Szczególnie w kontekście Sumerów, o których wspomnaiałm wcześniej..? No to które haplo od-osetyńskie, są widoczne w puli genowej Słowian, jako całości, hm? Podpowiem, to tzw. Stara Europa była… a R1a, w tym czasie raczej jeszcze było gdzieś w Azji Zachodniej lub Centralnej… Wiem, wiem, ta tzw. Zachodnia Azji, to w sumie Europa… więc masło maślame wyszło… Chodzi mi oto, że JA NIE ZNAM DOWODÓW NA POBYT R1A (jakiegośtam) NP. NA KUJAWACH, A TAKŻE NA BAŁKANACH… Może ono tam było, ja nie widzę na to dowodów. Jeśli ktoś zna jakieś prace, (odobno są jakieś) i może je zacytować, było by super! Table 3 lists Y-DNA haplogroups they found among their study’s Ossetians. Those from Ardon had frequencies of 32% I*, 29% J2*, 21% G*, 7% K*, 4% P*, 4% R1a1*, and 4% F*. Those from Digora had frequencies of 74% G*, 13% I*, 6% P*, 3% F*, and 3% J2*. Of 17 South Ossetian men 41% were in Y-DNA haplogroup F*, 24% in J2*, 18% in E*, 12% in R1a*, and 6% in R1a1*. Ivan Nasidze, Hiltrud Schädlich, and Mark Stoneking. „Haplotypes from the Caucasus, Turkey and Iran for nine Y-STR loci.” Forensic Science International 137 (2003): pages 85-93. The Y-DNA of many North Caucasus populations was sampled and analyzed for haplotype diversity, including that of 31 North Ossetians from Digora and 27 North Ossetians from Ardon. 22 different Y-DNA haplotypes were found among those from Digora and 17 from those from Ardon. No South Ossetians were sampled for this study. Siiri Rootsi, Natalie M. Myres, Alice A. Lin, Mari Järve, Roy J. King, Ildus A. Kutuev, Vicente M. Cabrera, Elza K. Khusnutdinova, Kärt Varendi, Hovhannes Sahakyan, Doron M. Behar, Rita Khusainova, Oleg Balanovsky, Elena Balanovska, Pavao Rudan, Levon Yepiskoposyan, Ardeshir Bahmanimehr, Shirin Farjadian, Alena Kushniarevich, Rene J. Herrera, Viola Grugni, Vincenza Battaglia, Carmela Nici, Francesca Crobu, Sena Karachanak, Baharak Hooshiar Kashani, Massoud Houshmand, Mohammad H. Sanati, Draga Toncheva, Antonella Lisa, Ornella Semino, Jacques Chiaroni, Julie Di Cristofaro, Richard Villems, Toomas Kivisild, and Peter A. Underhill. „Distinguishing the co-ancestries of haplogroup G Y-chromosomes in the populations of Europe and the Caucasus.” European Journal of Human Genetics 20 (2012): pages 1275-1282. First published online on May 16, 2012. Supplementary Table 1 says that 23 South Ossetian males were tested and 10 of them (43.5%) carried G Y-DNA haplogroups (the root is called G-M201). Also, 132 North Ossetian males were tested and 92 of them (a whopping 69.7%, the highest frequency of any population in the study) carried G. 63.6% of the North Ossetians belonged to subclade G-P16 compared with 43.5% of the South Ossetians. That is to say that every South Ossetian in this study who had G belonged to G-P16. The North Ossetians had more subclades: 2.3% in G-U1, 2.3% in G-P303, and 1.5% in G-P15. No i co allo-allo-kłamczuszki? Dupa blada… Hitler kaput! oTcHL”aN’ WiTa!!! O Osetyńcach skończyliśmy, jak rozumiem i NIKT JUŻ NIE PODTRZYMUJE ICH „SCYTO-SARMATO-ODALAŃSKOŚCI”… itd, czy tak? These three cultures (the Samara, and successors the Khvalynsk and early Yamna) have roughly the same range. Marija Gimbutas was the first to regard it as the Urheimat (homeland) of the Proto-Indo-European language and to hypothesize that the Eneolithic culture of the region was in fact Proto-Indo-European. If this model is true, then the Samara culture becomes overwhelmingly important for Indo-European studies. formation in a homeland on the steppes. diaspora into Europe, the middle east, and the central Asian subcontinent. formation of daughter languages over the now far-flung range. Gimbutas applied the term kurgan („mound”) to the cultures of the diaspora phase. Developed kurgans do not appear in the Eneolithic culture, but there are signs of their development occurring. Starość, ale nowe informacje pojawiły się! With the data we have now, don’t see how anyone can say R1a was specifically the main PIE marker or was more present in PIEs than R1b. Quite the opposite seems to be true. With the data we have now, don’t see how anyone can say R1a was specifically the main PIE marker or was more present in PIEs than R1b. R1a is the main proto-Indo-European marker because that was the mainstream Y-DNA by the time of late PIE, and R1a was also there from the beginning, in early PIE, with the Tocharians (proto-Tocharian was the second split from PIE). But most importantly, because R1a dominates all over Eastern Europe and India, and also to a lesser extent in Iran. In the PIE urheimat, the males could have been something like 90% R1b, 5% R1a and 5% non-R1a/b (xR1), doesn’t change anything: Indo-European expansions were heavily R1a driven, and only early on, with Anatolian and Celto-Italic (and perhaps also Greek and Armenian) did R1b play a role. Germano-Balto-Slavo-Indo-Iranian = late PIE, and entirely R1a (the R1b in Germanic speakers is likely from Kentum stock, probably Celts who language shifted to Germanic and also influenced the proto-Germanic language, as suggested by David W. Anthony recently). Add to that, Tocharian (which was early PIE), and you have 4 (or 6 if you count Balto-Slavic and Indo-Iranian as 4 branches) Indo-European branches that were R1a. Quite the opposite seems to be true. When they heavily sample all over Yamnaya, and not just its northern outliers (Samara and Khvalynsk), they’ll find a lot more R1a, and who knows, perhaps also some some R1b-L51+ too. Italo-Celto-Germanics got their R1b from IndoEuropeized R1b Bell Beakers. Some of that R1b spread in Southern and Western Europe before the Indo European language shift (See Basques). EDIT. Besides I recall the Greek habit of using names with -κλεος ending like Herakles, Perikles, Sophocles. This ending means „glory” which is the direct equivalent of the word „slava” very often used in Slavic names (Stanislav – „will become famous”, Mścisław – „the one who becomes famous by taking revange on his enemies”, Władysław – „one who commands fame” etc.). 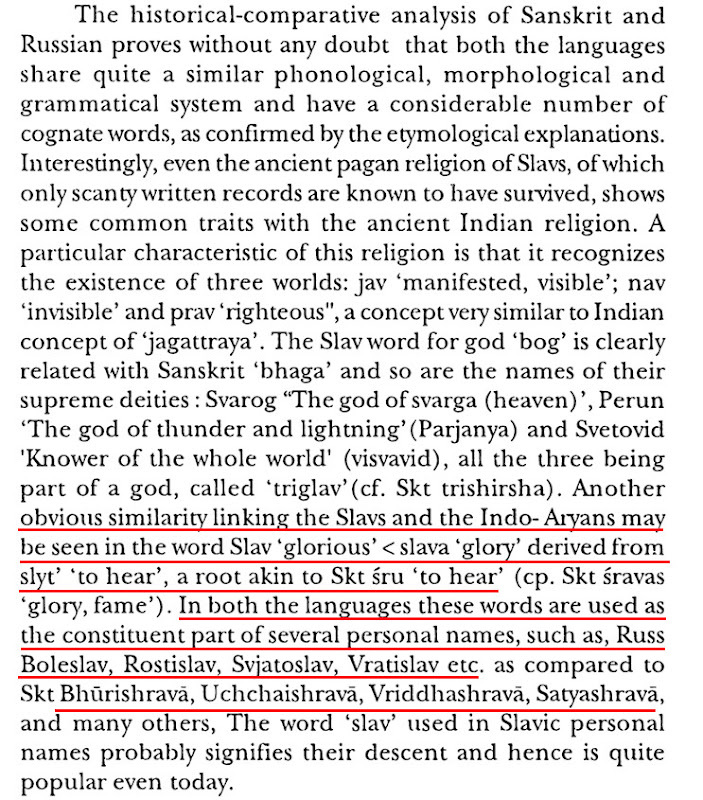 It is important to note that Indo-Iranian languages replaced PIE ‘l’ > ‘r’ and Slavic languages preserved ‘l’ and therefore Slavic ‘slava’ > Vedic ‘śrava’. This can’t be correct. The Romance languages should be closer to Celtic than to Germanic languages. Pretty sure Italo-Celtic is considered a solid IE concept. I would rather speak of Italo-Celto-Germanic group because they are closer to each other than to Slavic and are also close genetically with dominant R1b Hg. which suggests common ancestry. Germanic vocabulary is strongly Latin influenced and possibly their syntax was also influenced by Latin. I’ve made a discovery. 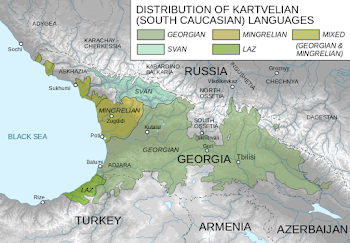 The Near Eastern-related ancestors of the Yamnaya steppe pastoralists were also the ancestors of present-day Georgian Mingrelians, or their very close relatives, and in all likelihood speakers of Kartvelian, which has a long history in the Caucasus. Because Yamnaya is basically the result of a 50/50 admixture event, so either one can be shown as a migration edge.